Type: Amateur VHF transceiver. Frequency range: 50-54 MHz. Mode: AM/FM. RF Power output: 1 W. Receiver system: Sensitivity Selectivity TRIO TR-1100 with cherry pink LED which has been added external microphone and frequency counter. 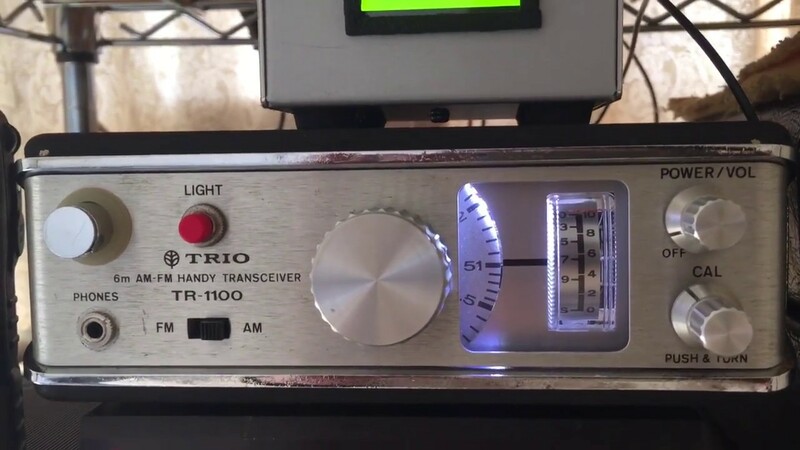 TRIO (Kenwood) TR-1100 this is the 6m AM/FM portable radio which was made in Japan 1969. Kanojo wa matteiru" by Funny Company, it means that she is waiting for.